As the holiday season approaches, those who will be celebrating can look forward to all the open house invitations and all the delicious dishes to be indulge in. But it's an all too familiar sight with having leftovers from meals we prepare. 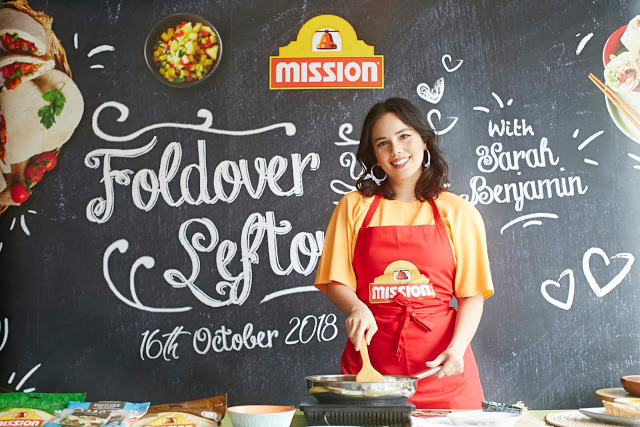 So Mission Foods Malaysia has tag teamed with celebrity chef Sarah Benjamin to bring us the "Foldover Your Leftovers" campaign. The "Foldover Your Leftovers" campaign is aimed to inspire people with ideas how to create mouth watering fresh dishes from their leftovers. Here are 3 absolute mouth watering creations presented by chef Sarah Benjamin that you can try at home. From left to right:Satay and Peanut Hummus Pita with Marinated Red Onion made with Leftover Satay, Curry Chicken Foldover with Herbed Summer Veges made with leftover Chicken Curry, Szechuan-Spiced Chicken Wrap with Spicy Ginger and Spring Onion Sauce made with leftover Chicken Rice. 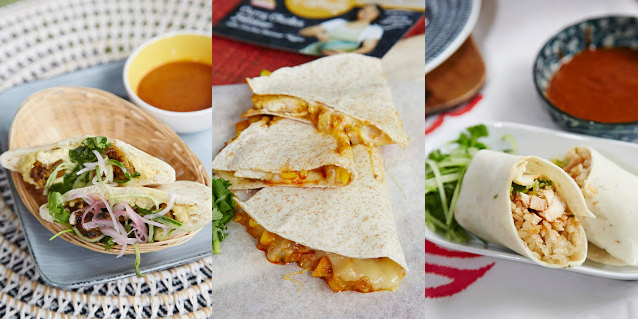 So the next time you have some leftovers in the fridge, Say yes to Zero Waste and visit Mission Foods Malaysia for easy fast leftover recipes here .